Have you ever considered what would happen if you had a power outage, disruption to your internet, or a fire? How long can you survive without emails or credit card processing? Do you know the true cost of down time for your business? Do you have a comprehensive plan to get you back up and running at full capacity? Do you have processes in place to mitigate the effects of the downtime? When considering business continuity, we need to think about how fast a company can recover from a disruption to be functioning at full capacity once again. How long can a business function without their IT system and the files and information contained within it? Businesses that are unprepared for unexpected events are often left scrambling to piece information together while losing money and damaging their reputation with every moment of down time. At I.T. 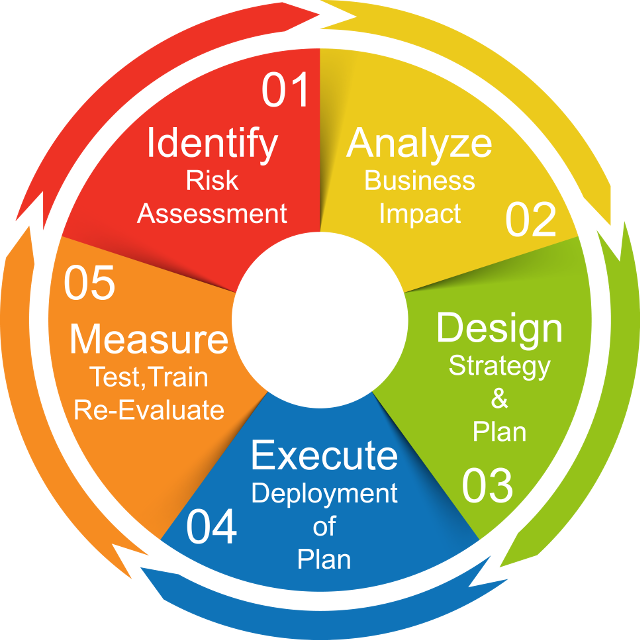 ISIN Solutions, we work with our clients to understand their needs while educating them to create a proper business continuity plan. Our BCP consists of 5 steps. Being familiar with your business means that we are able to back up key systems, and put fail-safes in place to get you up and running with minimal data loss and downtime. When trouble strikes, having a technician who is familiar with your business and understands your applications is the key to speedy recovery time and the protection of valuable information. We are available 24/7 to monitor your system and act quickly when you need us most.